ran Human Rights Monitor has released its annual report on the domestic situation within Iran. This year’s 24-page report is of particular importance as this year marks the 70th anniversary of the Universal Declaration of Human Rights. The report outlines how the people of Iran are systematically having their basic human rights violated by the brutal and bloody clerical regime. Public hangings, floggings, and forced amputations have become commonplace. Those that are arrested suffer intolerable and inhumane conditions in the Iranian prison system. The regime’s judiciary institutions have been used to promote the regime’s aims, including arresting and imprisoning political dissidents, including members of the People’s Mujahedin Organisation of Iran (MEK), civil rights activists, students, journalists, with no regard for international law and basic human rights. Iran Human Rights Monitor found the regime’s 2018 record to be particularly concerning. The group reported that last year there were 285 executions, 8,000 arbitrary arrests, and cases of 12 jailed protesters killed while enduring torture in Iran’s prisons. Among those arrested were four women, and six individuals who had committed the crimes they were convicted of when they were under the age of 18. The report found that Iranian freedom of expression has deteriorated in 2018. The national uprising at the end of 2017 and the beginning of 2018 was met with violence. More than 58 protestors died while exercising their right to express their opinions publicly, and 8,000 others were arrested and thrown in jail. Those that were arrested were denied access to legal representation, the Iran Human Rights Monitor found. There were also verifiable reports of the regime administering methadone to protestors in regime custody to depict them as drug addicts. Once arrested, many of Iran’s prisoners are subjected to torture during interrogations. 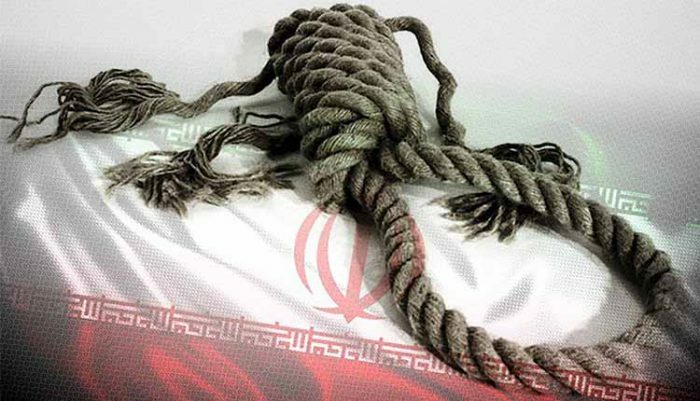 At least 20 people were tortured to death across Iran in 2018, with a variety of torture methods being employed against prisoners including, mock executions, beatings, burnings, electric shocks, sleep deprivation, and solitary confinement. Taymour Khaledian, a civic activist who was held at a State Security Force base last winter, reported being severely beaten and “sexually tortured” while in regime custody. His injuries were so extensive he was unable to sit afterward. The majority of Iran’s prisoners do not receive medical care for their injuries. The report found that the Iranian judiciary system consistently failed to hold fair trials to those accused of crimes. Confessions used to convict those on trial were often obtained during torture, even in cases which resulted in death sentences. For those accused of national security crime, including political crimes and civil disobedience, the regime will only allow legal representation for the defense if they use one of 20 regime-affiliated lawyers. Therefore, these trials are never fair or independent. In addition, the regime frequently violates the rights of religious minorities in Iran. They face reduced education and employment opportunities, harassment, lengthy prison sentences, and restrictions on their ability to practice their religions. In a particularly high-profile case this year, two Christians, Saheb Fadaei and Fatimeh Bakherti, who had converted from Islam, were sentenced to over a year in prison for “spreading propaganda against the regime”. Many other Christians are often imprisoned on similar charges. Women and young females receive some of the worst treatment in the country. The Global Gender Gap in 2017 ranked Iran among the bottom four countries on earth for its treatment of women. Women’s wages are lower than their male counterparts. They are also not permitted the same access to divorce, employment opportunities, political representation, and representation in both criminal and family lawsuits as men are. The unemployment rate among women stands at double the rate among men. As a result, many women holding college degrees are forced to accept employment that pays less than one-third of the minimum wage in Iran. 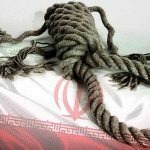 The Iranian regime also engages in one of the most deplorable crimes in existence in the modern world. It uses children as soldiers in combat situations. Nikki Haley, the former US ambassador to the UN publicly revealed that the US had evidence of the regime using children in combat roles since early 2015. The children were sent to fight in Syria in support of the violent Assad regime. Some of the children were just 14 years old. In its report, Human Rights Monitor also urged the international community and supporters of democracy around the world to hold the mullahs to account for their crimes against the Iranian people. The downtrodden and oppressed citizens of Iran are routinely silenced and ignored. They need their international supporters to be their voice and assist them in fighting the regime and bringing justice against those committing crimes against humanity.